One of the best things you can invest in these days, is a classic cut suit set, preferably with a wider leg and a larger shoulder. 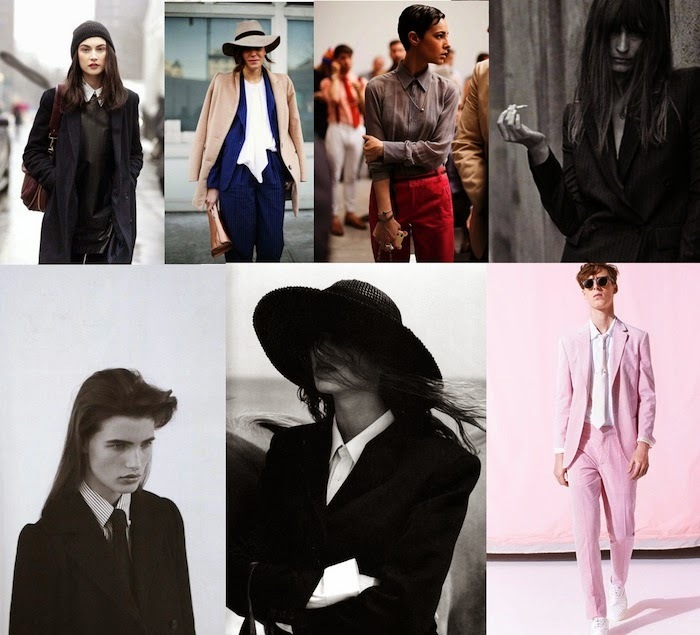 Layer with crisp shirts buttoned up all the way, or button the blazer all the way up and wear with fuss-free hair, and you will automatically look like an updated Annie Hall-type, one who fell straight off the pages of Vogue. For a natural tomboy like myself, this look is almost like second skin, effortless chic and forever trendy. Because really, when men themselves now wear jeans skinnier than ours, who says we can't steal their style and dress more mannish? Extra points for making you feel like a man boss and all that.